While I don’t proclaim to be a five star chef or a cooking expert, admittedly, since tapping into my passion for cooking not only have my culinary skills sharpened I’m also becoming more comfortable with identifying many basic cooking terms and how and when to use them. You don’t have to know every single term because there are far too many to remember and there’s not always the need to use all of them at once. With that being said, knowing the basics of what the most commonly used cooking terms mean can make an enormous difference to your confidence in the kitchen and the finished results. Many people have a fear of stepping into the kitchen to broaden their horizon. Sometimes this is due in part to a number of reasons; a bad experience with cooking, reluctant to sacrifice time to learn how to cook nutritional food or overwhelmed with where to start. Whatever the case, I truly believe trial and error is the master of perfecting a craft. Put it this way, If we all gave up after several attempts, nothing would ever be accomplished. That’s why I thought it would be useful to create a glossary of basic cooking terms, something that can be used as reference over and over again during your culinary journey. That’s right, you’ll never have to read a step by step recipe without confusing “chopped” with “diced” and know when to “boil” instead of “simmer”. All the definitions for each word have been written simplistically without the complexities which go over the head thus creating more confusion. Bake – Dry heat is used to cook food in an oven, cakes, cookies and pies are mostly cooked by this method. Baste – Pour drippings from the pan or use additional sauce to create moisture, seal flavour and prevent food from dehydrating. Batter – A mixture made into a runny consistency made from liquid and some type of flour. Beat – To mix relatively quickly into a smooth consistency in order to trap air. Boil – To cook something when in liquid (namely water) at the highest temperature possible where bubbles begin to emerge and break on the surface. Blend – Mix all the ingredients together thoroughly. Braise – The second step after browning the meat. This technique typically relies on the juices extracted from the meat along with a small amount of oil used during browning, then left to simmer on low heat. Browning – This is a quick frying process (medium-high heat) where the surface of the meat is darken on each side to add colour and lock in the flavour and seal the juices. 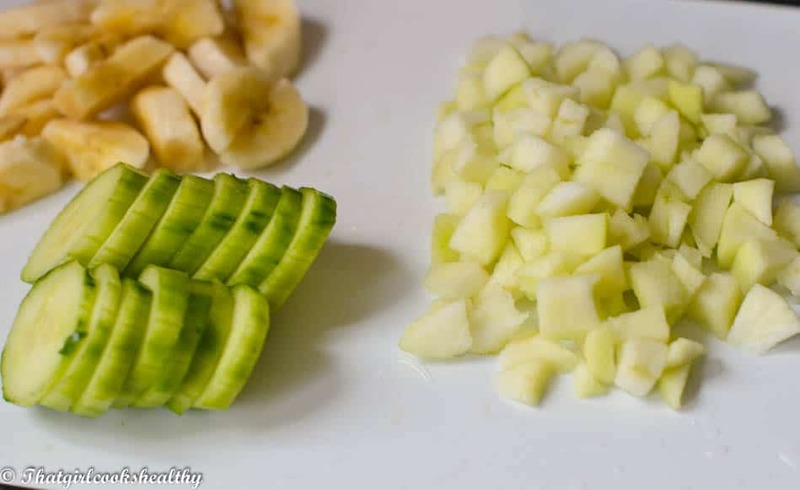 Chop – Using a knife to cut solids into large square roughly 1/2 to 3/4 inches. Cream – A term often used in baking, although not exclusive. Where something is softened by beating until it becomes a light, fluffy paste. A good example of using this definition is combining butter and sugar together. Dice – To cut into small square ranging from 3/4 to 1/8 inch. Dry fry – Technique where food is fried without oil, liquid or fat. This a great way for food with a high fat content to cook in its own juices. Spices and nuts are also dry fried as a means of releasing their own flavours. Drizzle – Lightly sprinkle liquid over food. Fold – Where great precision is used to carefully incorporate other ingredients without releasing the air bubbles. Going across the bottom of the bowl and up towards the surface whilst rotating the bowl is a favourable technique. Fry – Cook in a small amount of oil or fat. Garnish – Decorate a dish to enhance the appearance – herbs and spices are commonly used. Grate – A process which involves rubbing food against a grater to create a variety of sizes from course to fine. Grill – To cook something directly under heat. Grind – Process something into fine particles, almost into a powdery form. Knead – Using hands or machinery to work and press dough, technique used with flour based recipes. Marinate – Food is submerged in a seasoned liquid for a number of hours (sometimes overnight or days). This technique not only moisturises the meat but also adds a deep flavour. Dry marinade is a similar style, only using herbs and spices to absorb the food. Mince – Breakdown food into a puree texture, ginger and garlic is often prepared this way. Pinch – Approximately 1/16 tsp – the amount held between the forefinger and thumb. Puree – Mash foods into a smooth paste (food processor and blender can be used). Sauté – Cook small chunks of food over medium-high heat in fat in a pan. The pan is not overcrowded and manoeuvred in order to caramelise quickly. Onions and garlic are most noted using this method. Simmer – Liquid that has small unbreakable bubbles that form on the surface. Many recipe call for food to simmer after boiling where the heat is reduced. Skim – Removing impurities which form on the surface of a pan of liquid during cooking. Stew – Food that is gently cooked by simmering (slow cooked) in a small amount of liquid. Steam – To cook foods like rice, fish or vegetables over a pan of simmering water – a great way to help retain nutrients. Stir fry – Cooking foods over high heat whilst stirring frequently. A wok is traditionally used, though this may vary depending on the dish. Toss – Combine in a lifting motion. Whisk/whip – A vigorous movement which allows air and expansion into the ingredients. Egg whites and cream are commonly whisked. I definitely need to eat more healthy! You provide easy tips too! Thanks for creating this website and I will be back! Will you be adding some fast-baking recipes as well? You’re welcome. Yes I will be adding more baking recipes. Very nice Website with allot of good looking recipes. Fantastic breakdown and very good website. I will be keeping my eye on your site. Love it!